Our visit to Pennsylvania began with thoughts of pretzels and jazz festivals and crafters, and we were not disappointed. Throughout the visit, shared the story of our good friends and mentors, PID Mike and Linda Molenda. Lion Linda experienced a severe stroke in mid-March; and with determination and raw courage, Linda has been fighting to regain mobility. In her unique way, Lion Linda is setting an example by focusing on what a person can do, rather than what one cannot do. Linda’s story is a powerful example that played out as we listened to the projects and activities of District 14P. This year, DG Ken Snyder has been supporting projects addressing the needs of people with ability issues. It brought everything into clearer focus and will remain as a cornerstone of our message as we complete our term on the board of directors. District Governor Ken Snyder and his wife Linda welcomed us at the airport in Harrisburg. 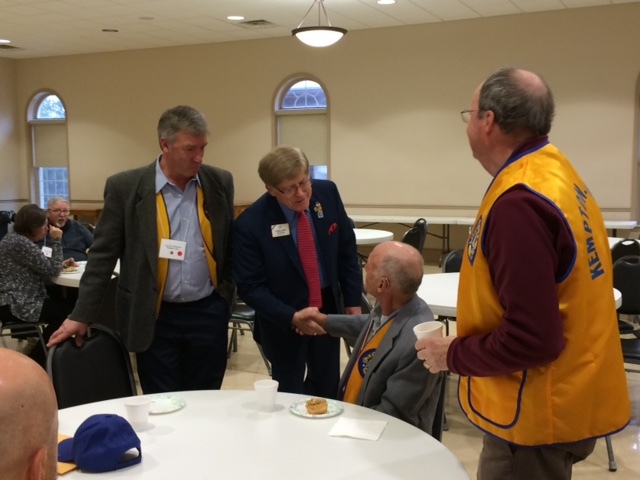 Then, we traveled to Douglasville where the convention for District 14P was held. 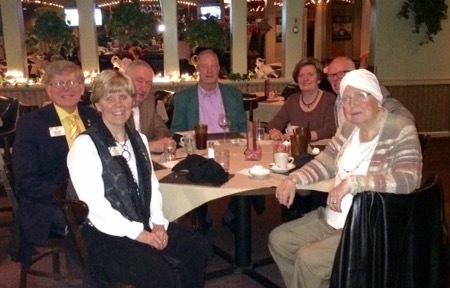 On Friday, we had a lovely dinner with district leaders . . . The meal was wonderful and the company engaging! 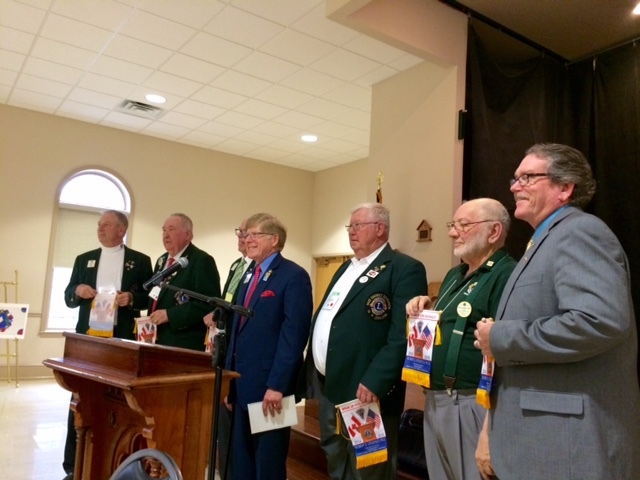 (L to R): ID Robert, Lion Kathy, DG Ken, 1VDG Gus Meyer, Lion Marilyn Wagner, 2VDG Stephen Wagner, and Lion Linda. The convention began on Saturday morning. Clubs prepared baskets for the auction that raised funds for Lions charities. 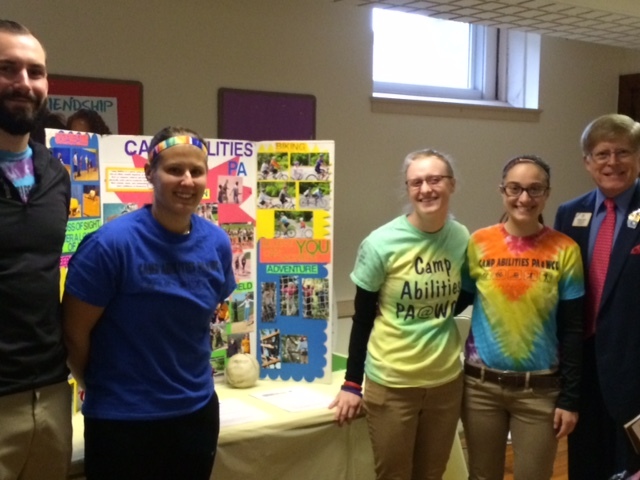 Students engaged in service shared their project with the Lions of District 14P. The memorial service was coordinated by Lion Barbara Smith; and the spiritual leadership of Lion Doris Haley (District Chaplain) was powerful. What a dynamic woman of faith. Kathy and I held a town hall meeting in the morning to answer questions. 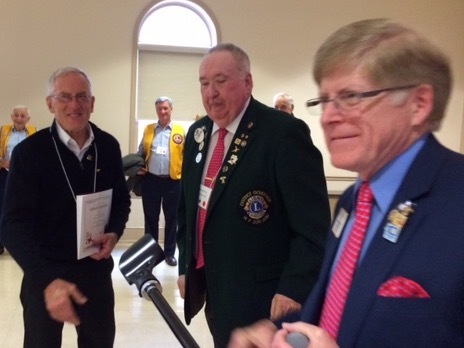 ID Robert enjoyed meeting all of the Lions attending the convention. 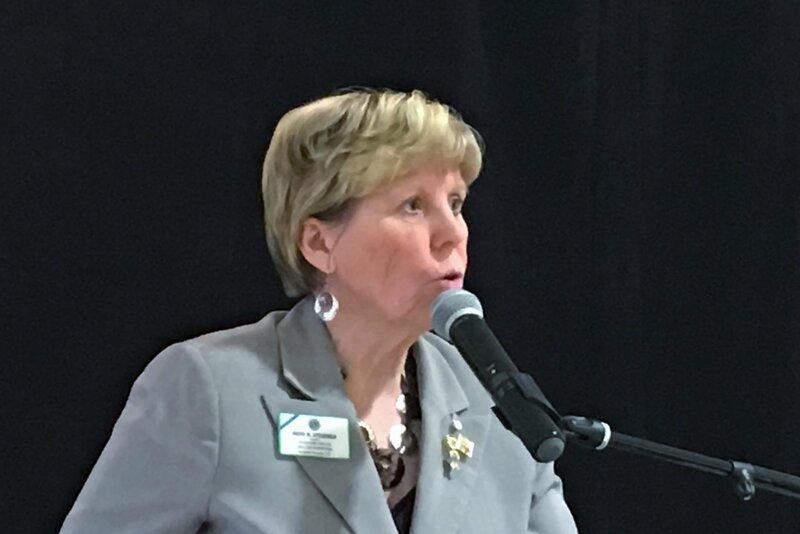 I spoke at the luncheon and Kathy joined me to promote the One Shot, One Life Measles Initiative. Throughout the afternoon, the Lions of District 14P signed up and by the end of the convention, we raised another $380 (which means $760 with the match from GAVI Foundation) for this worthy project of Lions Clubs International Foundation. Lion Kathy shared her passion about the One Shot, One Life Measles Initiative. The peace poster winners were introduced. There are very talented young artists in District 14P! 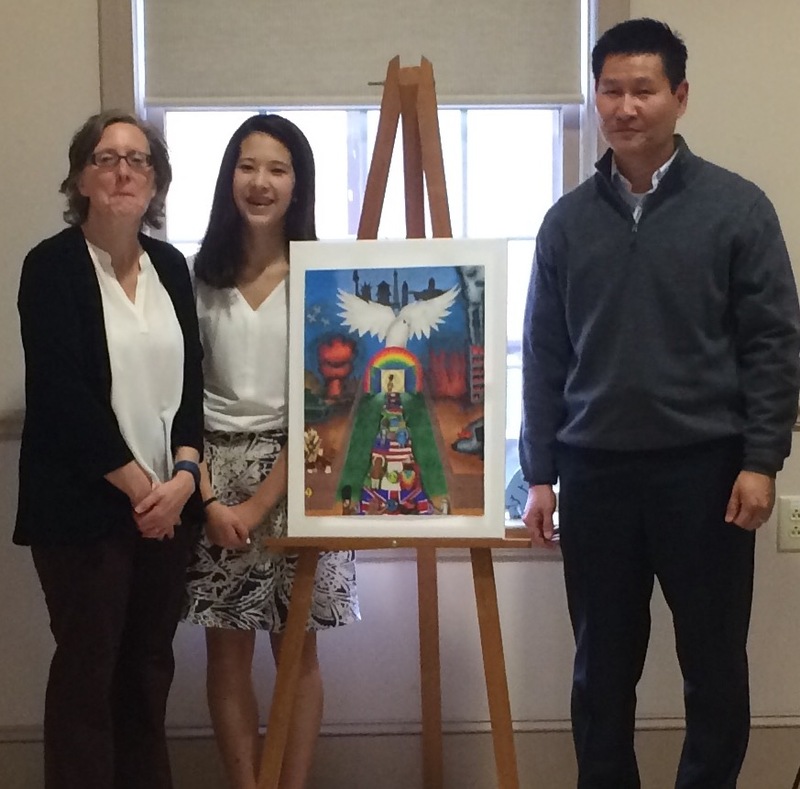 The 2016 Peace Poster Winner and her parents pose with the winning poster. 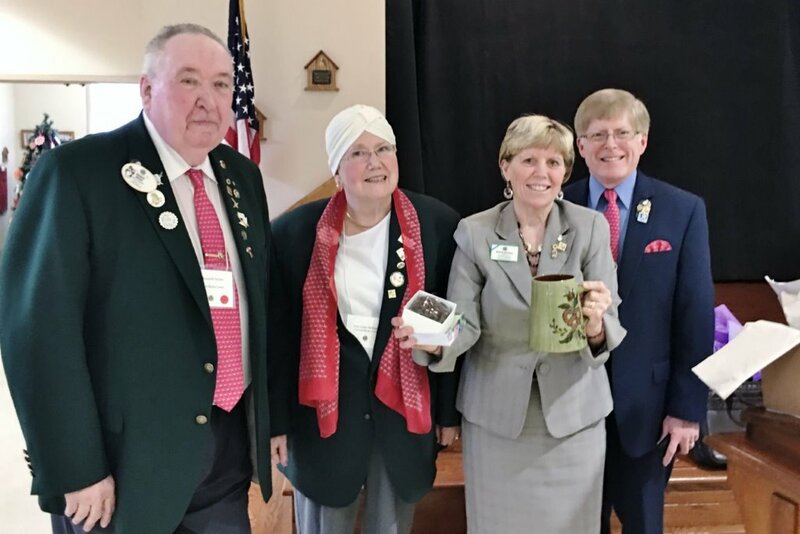 Officers were elected and Presidential Certificates of Appreciation were presented to Lion Thomas J. Kerr (Kempton Lions Club), Lion Linda M. Sampson (Avon-Grove Lions Club), and PDG Richard Stump (Central Berks Lions Club). Lion Kerr receives a Presidential Certificate of Appreciation for his work on the Seaver Lakes projects. We learned about two inspirational projects. One was the Leaser Lake Project that provided facilities for individuals with physical challenges to fish and gain physical access to kayaks and other activities. The Kempton Lions under the leadership of Lion Thomas Kerr raised funds and received a matching grant from LCIF to complete the project. Lion Thomas Kerr receives a Melvin Jones Fellowship for his work on the project. A second project was the Moment of Peace Adventures. This non-profit corporation has a mission of sending youth (18 and under) who have a severe physical disability or a life-threatening illness on a hunting or fishing trip. It is their hope to provide a memorable experience and a “moment of peace” where they can forget about their problems and enjoy the natural world. 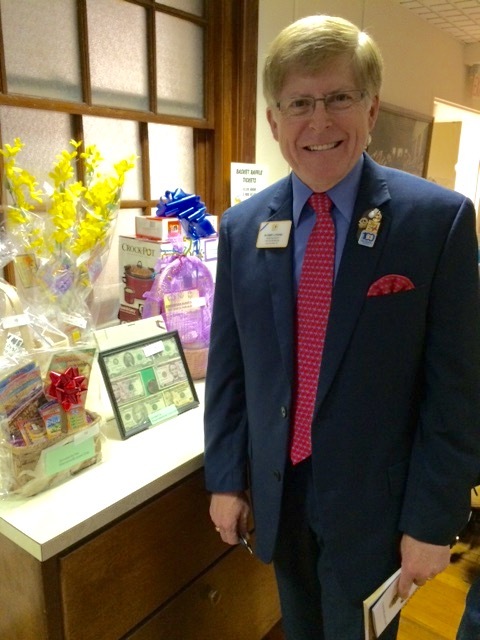 This was the charity of District Governor Ken and he raised over $10,000 from clubs supporting his initiative. 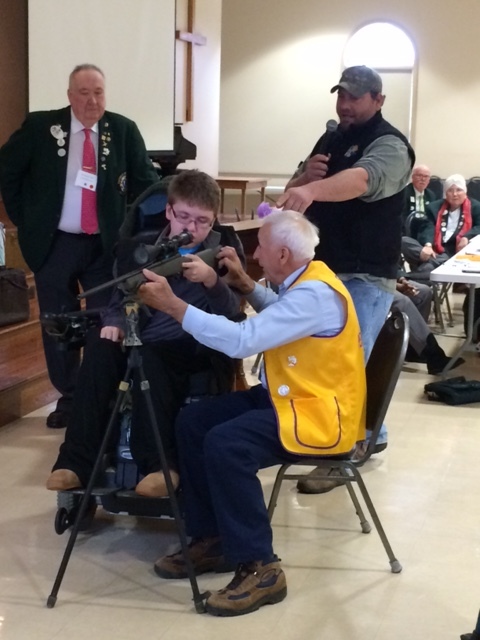 In order for a person with a disability to participate in a hunting “moment of peace,” assistance is needed in order for a successful hunt to occur. The time required for a successful hunt is significant and patience is a key ingredient for success. We distributed my friendship banners to the officers and district leaders. ID Robert presents the leadership team of District 14P with friendship banners. We were on the way early on Sunday morning. As we looked in the rear view mirror, the sun was rising on another beautiful day. It’s great to be a Lion and we thank the Lions of the world for their ongoing support of the International Board of Directors. 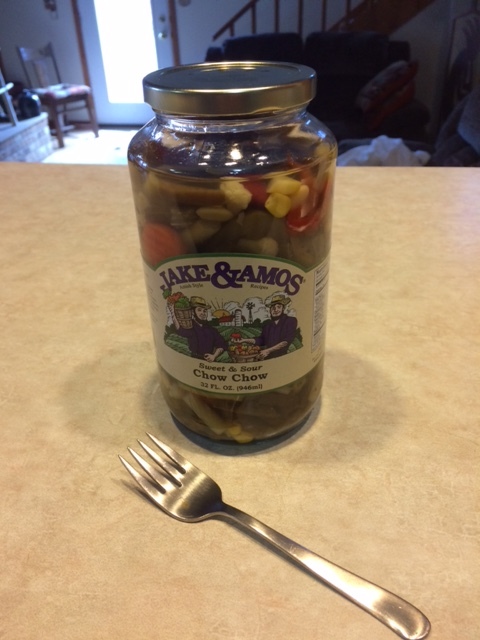 When we got back to Moorhead, it didn’t take long for me to crack open the jar of “Chow Chow” that we received. 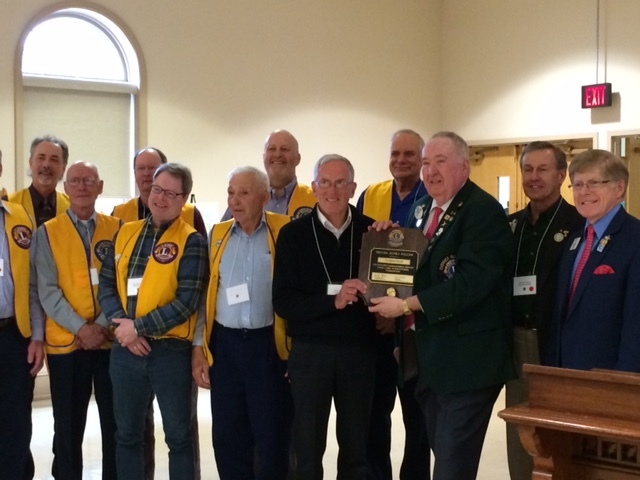 In addition to the cookbook and donation to LCIF, the Lions of District 14P were generous with us. Chow Chow from the Pennsylvania Dutch! Yummy!